While Florida is currently in a record-setting “drought” for a hurricane landing in nearly ten years which is the longest since 1851 when records on weather events began. That doesn’t mean that legislature is sleeping on making residents safer in the future. Law makers took a long hard look at New Orleans when hurricane Katrina hit. Many firearms were confiscated from homes and individuals who were trying to evacuate once they came upon a bridge or “check point”. After three years many people had to fight to get their firearms back, and some never did. Florida is known for being in the path of hurricanes frequently. 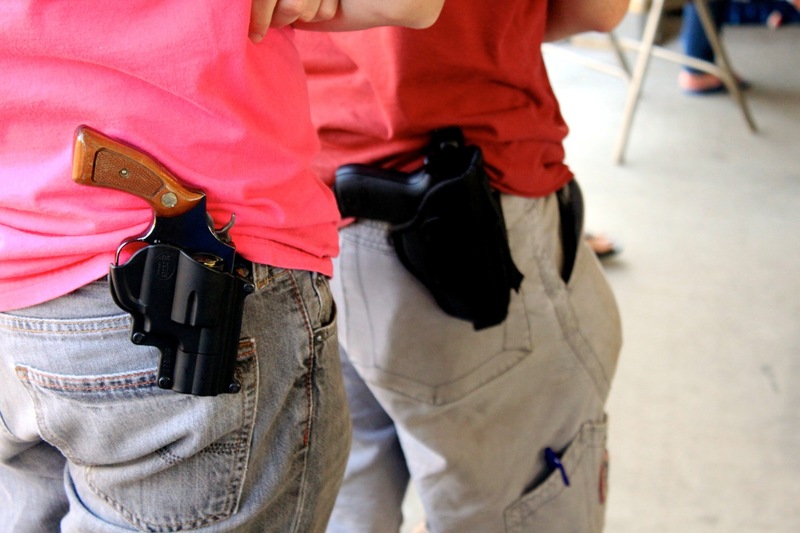 Now residents who legally own firearms will no longer have to worry about protecting themselves in times of evacuation for fear of carrying without a Concealed Weapons and Firearms License. Florida has never had an issue with law-abiding gun owners being arrested during the time of evacuation and state of emergency for carrying their firearms without permit. However, if there had been any issue with Florida residents carrying their firearms without permit, it would be punishable by a third degree felony with up to a five-year prison sentence. Given the fact that there has been no issue or known case of a gun owner being brought up on charges for unlawfully carrying on their person during a state of emergency evacuation could explain why the revision hasn’t been made for the ten years since Katrina hit New Orleans. It is believed that residents were carrying their firearms on their person during evacuations not realizing they were in violation and possibly to be charged with a felony. “A lot of people would not leave their firearms behind to be destroyed in a hurricane or be stolen by looters,” said Marion Hammer, a former NRA president who now lobbies for the group and the Unified Sportsmen of Florida. Looters would simply use the firearms for the wrong intentions only fueling the fear of the situation of the ongoing evacuation, and oncoming hurricane. With this law protecting Florida’s law-abiding, firearm owning citizens, it will allow them to now lawfully carry during state of emergency ordered evacuation for 48 hours. Surprisingly this bill went without much opposition by the public and few political figures. According to Marion Hammer, “So when a law makes criminals out of law-abiding citizens, it needs to be fixed.” That’s exactly what this bill’s intention and purpose is.